Three hundred thirty-three pages of maps, pictures, drawings, and explanations. Thoroughly covers the scope of Biblical geography. 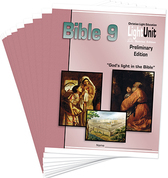 A chapter on Biblical archaeology, a time line of Bible history, and a gazetteer supplement the maps and explanations. Every word of the Bible listed, along with its meaning in the original language. 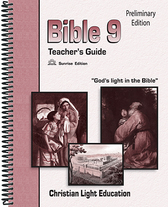 Includes Hebrew and Greek dictionary helps.